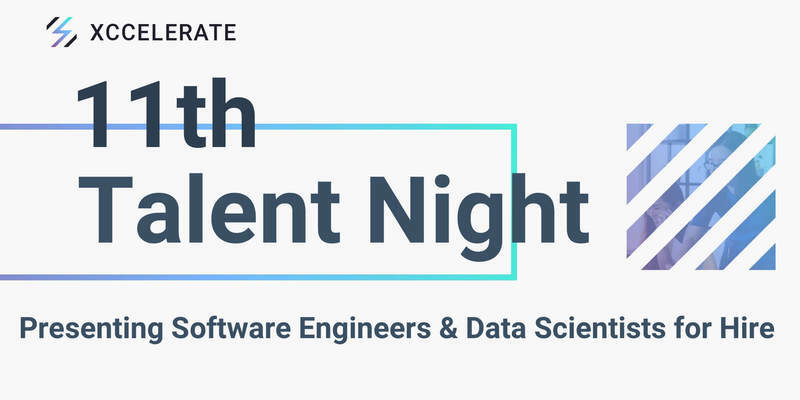 Xccelerate proudly presents for the eleventh time, our Talent Night that showcases projects of the graduates from our Full-Time Immersive Software Engineering program as well as our Full-Time Immersive Data Science and Machine Learning program to the business community. This event is for companies looking to hire outstanding tech talent, and for strategic partners and investors to potentially discover new and exciting ideas worth championing. Meet potential Fullstack Software Engineers and Data Scientists to hire for your company in one go. Enjoy an evening of networking with players in the technology and innovation communities. For more information email us: placement@xccelerate.co. Please note that there is limited space, if you would like to attend this event kindly RSVP and we will email you with an invitation. This event is by invitation only.